This three-tiered holder is made of paper-covered foam. Size: 12" diam. 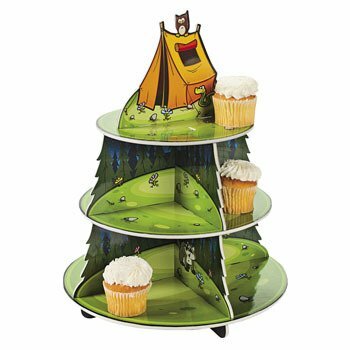 x 15 1/2"
Camp Adventure Cupcake Holder. A fun way to serve treats, this three-tieredholder is made of paper-covered foam. 12" diam. x 15 1/2" Simple assemblyrequired.